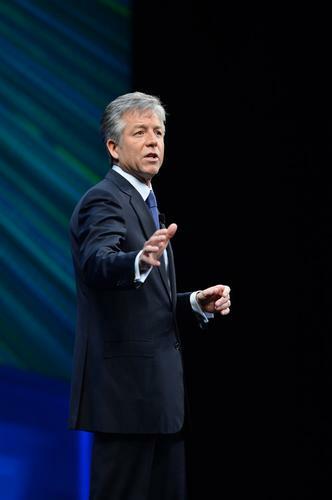 But SAP CEO Bill McDermott is confident the addition of Concur will prove more than worthwhile, both in terms of market attention and new revenue. He spoke with IDG News Service briefly about the deal late Thursday, describing how Concur will fit in with SAP's previous acquisitions of the Ariba B2B commerce network and Fieldglass workforce management software. The following is an edited transcript of the conversation. IDGNS: Most people would agree that doing their expense reports is typically not much fun. Apart from easing that pain, though, can you describe how Concur will work alongside SAP's existing systems? McDermott: If I am the business traveler and I have my mobile device, I can now deal with my ground, air, hotel, consumption needs and so forth on the Concur network. A lot of times, [business travelers] go outside their corporate travel network. Now with Concur cooperating with all these [providers] the traveler gets the best service, within their companies' travel guidelines. The enterprise also gets a read on that traveler instantly within their ERP [enterprise-resource-planning] system. All the transactions a traveler makes with partners in the network goes back into their company's expense system. This is a big day. SAP becomes the business network company. With Ariba, we've got goods and services, we've got contingent labor with Fieldglass and now of course, travel and expenses with Concur. IDGNS: When you bought SuccessFactors in late 2011, part of the stated rationale was that you needed executives who knew how to run a cloud software business. A number of those executives ended up leaving SAP, however. Was getting more cloud know-how a consideration when buying Concur? McDermott: I spent the last three years building a friendship with [Concur CEO] Steve Singh. We've built up an immense personal trust with each other. I want to retain Steve and the management team. I told him, post-acquisition it only gets better. IDGNS: Concur is growing quickly, and on track to generate about $700 million in revenue this year, but it's not profitable. What would you say to those who believe you're overpaying for it at $8.3 billion? McDermott: This is all about growth. Concur today has feet on the street in 10 countries. We have [salespeople] in 190 countries. There is so much opportunity for cross-selling, up-selling and growth. We will continue to run Concur as an independent company and invest in it. At the same time, Concur will have to invest less in sales and marketing coverage. It's the best of both worlds. When you buy the most pristine asset in the SaaS [software-as-a-service] industry, it has to be regarded as a scarce asset. It's not what you pay for these assets, it's what you do with them. The business case for this is the best business case I've ever put in front of the board. This is a $1.2 trillion addressable market. There's lots of greenfield here. You give me one traveler that does not hate doing an expense report, and who doesn't tell you that it's one of the most painful things they have to do. [Concur] is the easiest sale of any sale in the enterprise software industry.